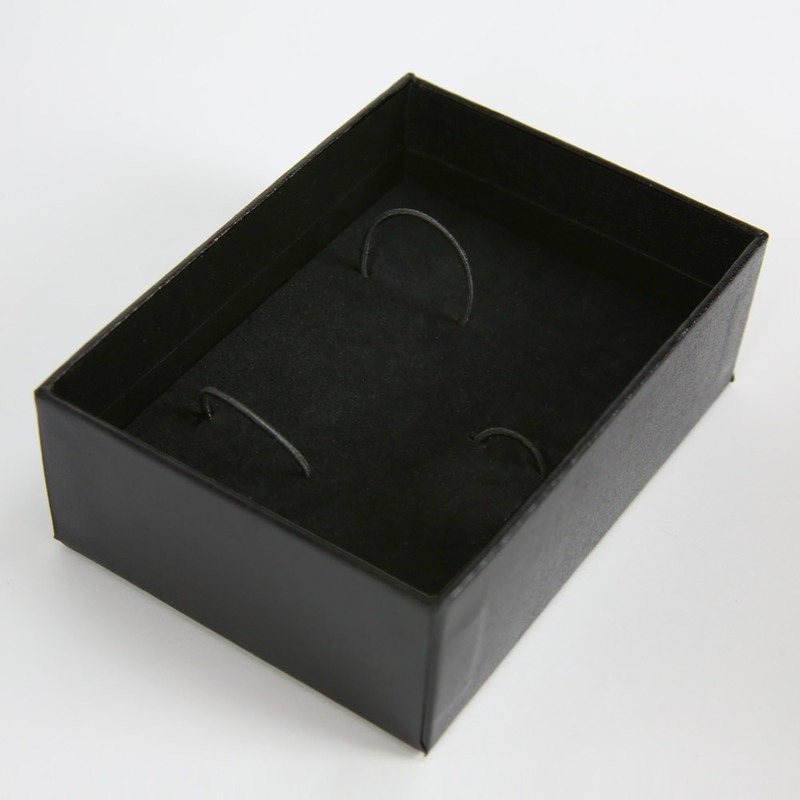 The roomy Unbranded Black “Charger” Gift Box, 2-Piece offers 4 1/8” x 2 15/16” of space to hold a USB charger and cable or other small items - plenty of room for our Power Runner Pro 2200, Beacon, Edge, or Ingot Portable Charger. Each Gift Box features a velvet cushion and three elastic straps to secure the Mobile Charger and cable. 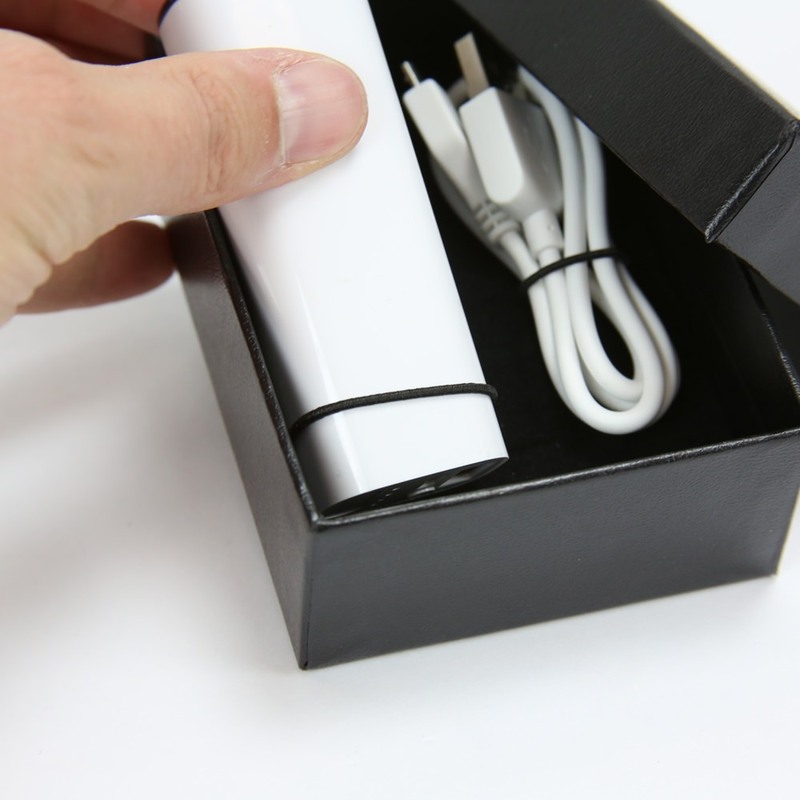 The Charger Gift Box has a removable lid.